Sometimes you just need a easy casserole for dinner. One that stands on it's own and needs no other accompaniment. 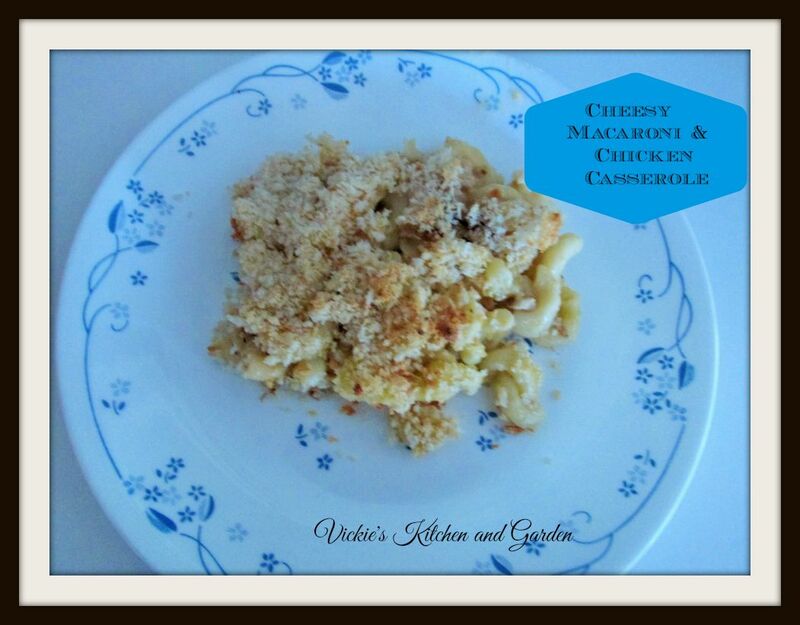 This Cheesy Macaroni and Chicken Casserole makes the grade. I combined all the ingredients this morning and then put it in the refrigerator to bake it later for this evenings meal. So easy! This is also a great way to use up that leftover chicken sitting in your fridge. You could though, make more chicken on purpose like I do just so you'll have a good excuse to make this recipe! Drain pasta and mix together with the soup mixture. Transfer to a greased baking dish. Top with parmesan cheese and sprinkle panko bread crumbs over top. Bake for 30 minutes at 350 degrees or until brown in a 9x13 greased baking pan.